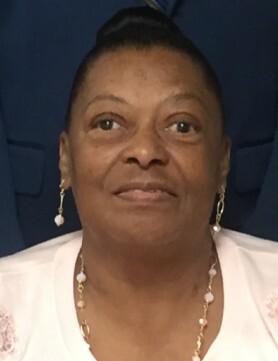 Barbara Diana Sherrod Johnson, age 65, of Madisonville, entered eternal rest at 8:58 a.m. Monday September 17, 2018 at Baptist Health in Madisonville. Born July 17, 1953 in Madisonville, she was the daughter of the late Walter Henry Sherrod and Julia Baker. She was a member of Branch Street Church of God in Christ in Madisonville where she served faithfully as a member of the Mothers Board and choir, was a Missionary, and president of the Sunshine Band. She was a resource counselor for Hopkins County Health Department, attended Paducah Vocational School, and made the Hall of Fame in track & field at Madisonville North Hopkins High School. She also was preceded in death by one brother James Campbell. She leaves behind to cherish loving memories her husband of 45 years Bobby Johnson Sr. of Madisonville, whom she married on November 17, 1972; one son Bobby (Alexis) Johnson Jr. of Madisonville; one daughter Brook Johnson of Madisonville; one brother Harold (Lillie) Campbell of Madisonville; five sisters Linda Manion of Salem,OH., Laura Campbell of Myrtle Beach,SC., Carol Sherrod of Jeffersonville,IN., Gonzella (James) Hardy of Madisonville, and Cynthia Woods of Madisonville; five grandchildren Bobby Johnson III, Bryson Johnson, Brashyia Peyton, Bryanne Johnson, and Brayden Johnson; 14 God-children; and a host of nieces, nephews, cousins, and friends. Her life will be celebrated at 1:00 p.m. Saturday September 22, 2018 at First Baptist Church in Madisonville. The Elder Kenneth Walker will officiate. Burial will be in Westside Odd Fellows Cemetery in Madisonville. Visitation and wake services will be from 6:00 p.m. until 8:00 p.m. Friday September 21, 2018 at Elliott Mortuary in Madisonville and after 12:00 p.m. Saturday at First Baptist Church.